There’s nothing quite like a challenge to inspire one to be creative. 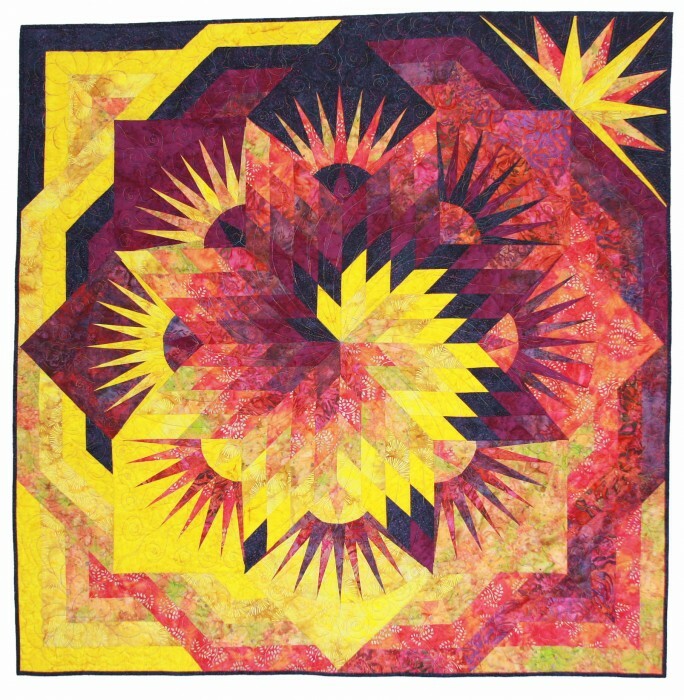 My small quilt group, Designing Women, has an exhibit at the Esther Bone Library in Rio Rancho, New Mexico through December 31, 2012. The library is located at 950 Pinetree Road SE Rio Rancho, NM 87124, (505) 891-5012. Members of our group include Debbie Caffrey, Mary Chappelle, Cathy Combs, Pat Drennan, Cynthia Figueroa-McInteer, Michele Hymel, Harriet Smith, Lisa Stewart, and myself. 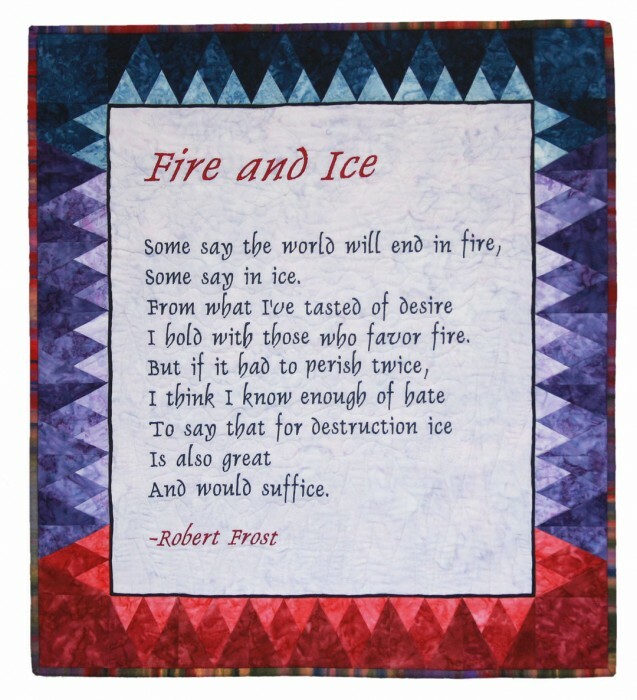 Debbie Caffrey created “Fire Sticks”, the smallest quilt in the exhibit. Time was short for the traveling quilt teacher, but she wanted to participate in the exhibit. 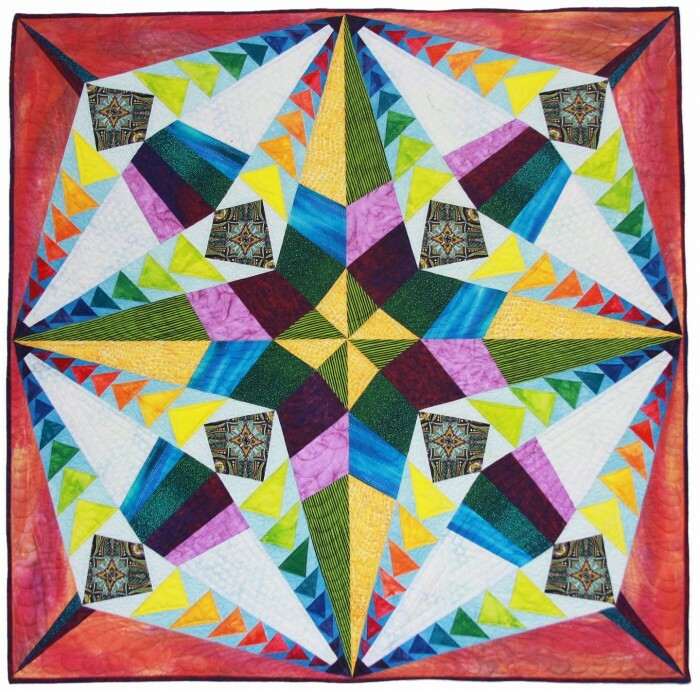 Michele Hymel’s quilt is called “Spiral Lone Star”. 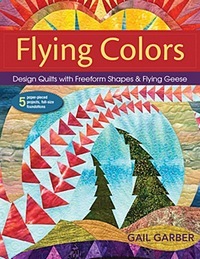 It was made from a pattern, but I love the way the colors interact with each other in this intense quilt. 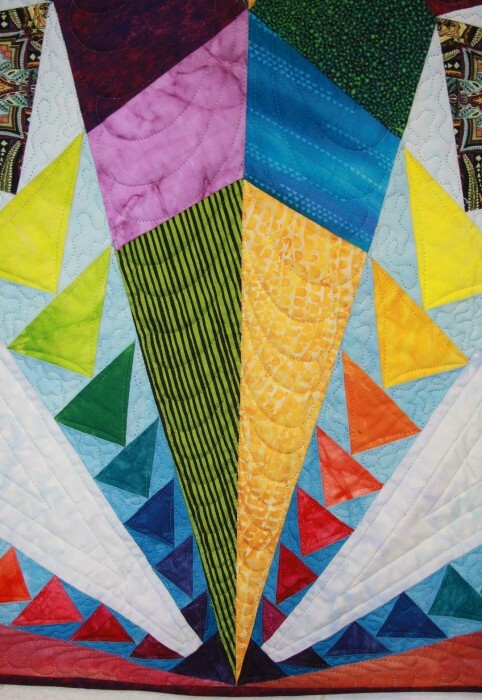 If you are in the neighborhood, stop by and check out all of the quilts in the exhibit. You will be glad you did! Hi this is beautiful. I can’t wait to see more.